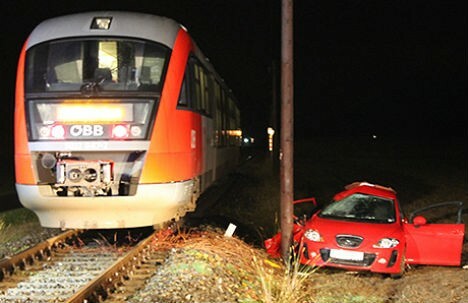 A 17-year-old girl has died after the car she was travelling in was hit by an oncoming train at a level crossing in Styria on Wednesday evening. The 20-year-old driver of the car survived with serious injuries. Police believe the driver failed to see the oncoming regional train in time – despite the train driver activating the train’s whistle and slamming on the emergency brake. The accident happened shortly before 9pm. The 17-year-old girl, who was in the passenger seat, was thrown from the car and died of her injuries at the scene. The train was coming from Spielfeld and travelling in the direction of Bad Radkersburg. The train driver and his passengers were uninjured, but were treated for shock by a crisis intervention team. The line was closed until midnight.